The old man, on orders of his wicked wife, is taking his daughter to the forest to freeze. Old Man Winter (Morozko) is looking on as they ride past. 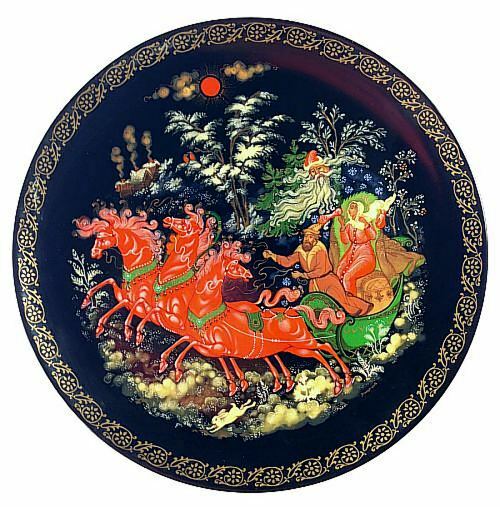 This collectible plate is based on a lacquer miniature by Palekh artist Nina Lopatina. The plate is in excellent condition and comes with original documents and box.